For people who have never of Steve. Hence, he was one of the brains behind the “Eye Drive Omatic” This would enable disabled people to drive their wheelchair by using their eyes. 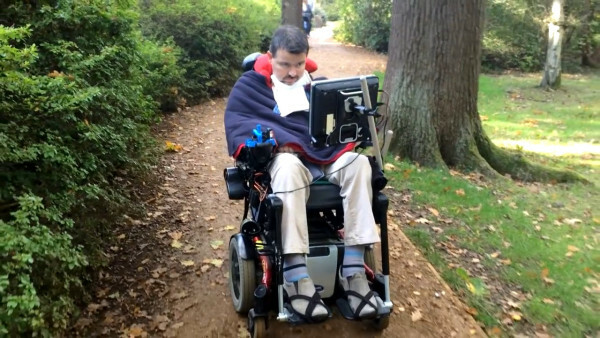 For this reason, his eye controlled wheel chair idea, was awarded the 2015 “Hackaday” prize. Unfortunately, Steve contracted MND (motor Neurone Disease). Moreover, this condition slowly eats away at your bodily functions. Simultaneously, your mind is kept in tact. I believe that this is the system that is also used by Professor Stephen Hawking. For this reason, Steve Evans put a huge effort to help invent the “Eyedrivomatic” . Indeed the invention consists of a hardware adapter for electric wheelchairs . Thus, which helps to bridge the physical controls of the wheelchair . So by using an eye-controlled computer system . This is truly a great invention and can be used by people suffering with ALS/MND and other disabling illnesses.